It’s time for a brand new BN Collection to Closet – our style feature where we show love to African designers by shining a light on those who #BuyAfrican. 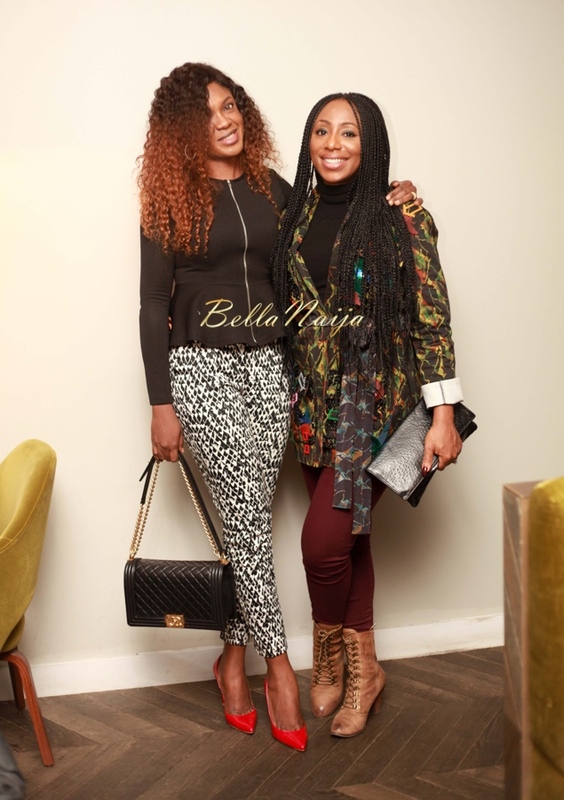 Today, we have the ever-fabulous Nollywood actress, Dakore Akande in Nigerian designer, Lisa Folawiyo. 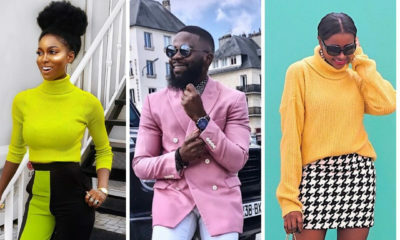 Formerly know as Jewel by Lisa, the eponymous fashion brand, owned by Lisa Folawiyo, has played a monumental part in building African fashion to where it is today on the global scene. 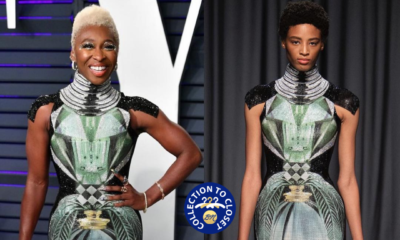 The designer was recently added to the Business of Fashion 500 List, and has a history of groundbreaking achievements to boot. Lisa Folaiwyo’s first foray into fashion can be traced to 2006, where she first caught our attention. She debuted her first collection – “Reloaded” in 2007 and started a steady rise to fashion greatness. With shows like Arise Fashion Week, Lagos Fashion & Design Week, Music Meets Runway, ITC Ethical X AltaRoma’s “Beat of Africa” showcase, New York Fashion Week; collaborations with Vlisco, L’Oreal Italy, Sleek, PANDORA; features in ELLE South Africa, Genevieve Magazine, Tatler UK, Ndani TV and more, there seems to be no stopping the womenswear brand. 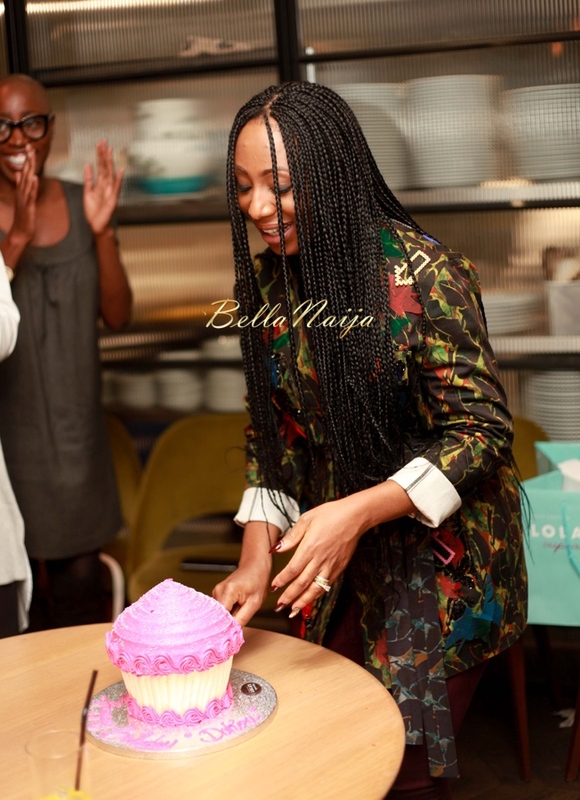 Joining a long list of celebrities, both home and abroad, who love the brand’s key aesthetics is Nollywood actress, Dakore Akande. 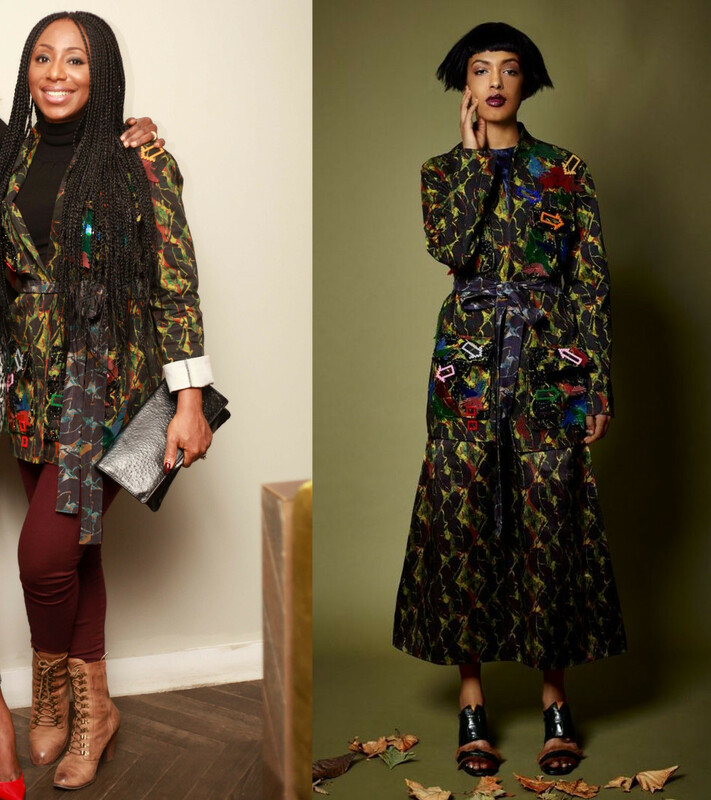 She attended the British Council pre-premiere of new movie “Fifty“ in which she stars along Omoni Oboli, Ireti Doyle and more, in a piece from Lisa Folaiwyo’s latest collection for A/W 2015 (click here if you missed it) – a leaf print jacket. She paired the statement piece with a black turtle neck sweater, long braids, a pair of wine pants and brown booties. Check her out here with co-star, Omoni Oboli. The celebration also doubled as a mini-birthday celebration for Dakore (her birthday was yesterday). They presented her with a cute birthday cake. FAB! Zendaya Channels her Inimitable Personality through Hair for Mane Addicts!